The Edea Ice Fly Boot are designed for the skater who require a skate to support double, triple and quadruple jumps. 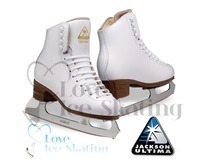 It comes in boot only so the skater can pick the best blade to suit their needs. 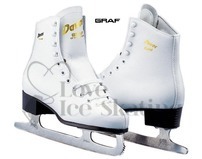 A fibreglass insole allows more power and increases stability. The design of the heel adds more stability. Due to the curve of the heel, weight is more evenly distributed. 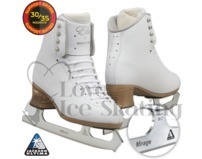 Memory foam inside the skate aids in comfort and reduces the time spent breaking in the boots. Edea's dual sole technology reduces vibrations from the ice allowing the skater to concentrate more on their training rather than the ice. The sole is also waterproof. 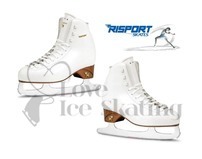 Due to the thinner sole, the toes have more wiggle room making the skates more comfortable. The ice fly boots kept in stock are a regular C fitting. 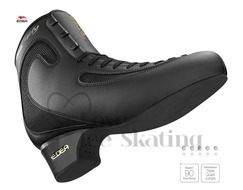 B and D fitting boots are available to special order from Edea and can take anything between 6 and 12 weeks.